When Do You File a Mechanics Lien? When any work is done on a home, all of the contractors working on the project must be paid under the terms of the contract. If you don't get paid, you can file a mechanics lien in California. If you are a contractor, subcontractor, laborer or material supplier who has not been paid for a project, you can file a property lien in California to help you get your money. Filing a mechanics lien means that the homeowner cannot sell their home without paying you first. They could even lose their home in foreclosure if they don’t pay you. A mechanics lien also allows you to sue the property owner for compensation for the work you completed. Are You Eligible to File a Mechanics Lien in California? You must be a contractor, supplier, laborer or design professional who was authorized to do work on a property through an agreement with either the owner of the property or someone in charge of the work, such as a general contractor. 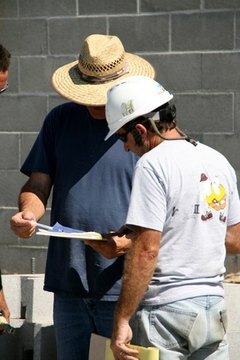 If you are a subcontractor or a materials supplier, you must give the homeowner preliminary notice that you have a right to file a mechanics lien against them if you aren’t paid. This preliminary notice must be served within 20 days of either beginning work or delivering materials. If it is not provided within 20 days, you lose your right to file a property lien in California. Also, you can only file a lien if the contracted work was completed, and the supplies indicated in the plans or contracts were delivered. You cannot file a lien in the middle of a project or before you delivered the necessary supplies since you have not yet followed through on the terms required for you to be paid. The work you completed and the amount you are owed. The property owner’s name and a description of the property. The name of the person who hired you. Proof of service that the lien was served upon the property owners to show they are aware of it. The claim must also include verbatim the “Notice of Mechanics Lien” statement as set out in the Civil Code. File the claim with the county recorder’s office in the county where the property in question is located. You must file the lien within either 90 days of completing the work in question or of the property owner accepting or using the improvement in question. Neglecting to follow any of these requirements voids your right to placing a property lien in California. Once you file a mechanics lien, the only way to remove it is to file a mechanics lien waiver, which releases the property from the lien when the owner makes either a partial or final payment to the contractor. To file a mechanics lien waiver, fill out, sign and deliver the appropriate waiver and release documents. California Civil Code has provisions for both conditional and unconditional waiver and release forms for progress and final payments. If you need to get paid for work you completed on a home and you want to file a mechanics lien, be sure to follow California law so you don’t inadvertently waive your right to get one. Bloom, Leslie. "How to File a Mechanics Lien in California." , https://legalbeagle.com/6518029-file-mechanics-lien-california.html. 13 August 2018.